With just one day left before the special election for the Alabama senate seat vacated by Jeff Sessions, a new poll says the deciding factor will likely be voter turnout. 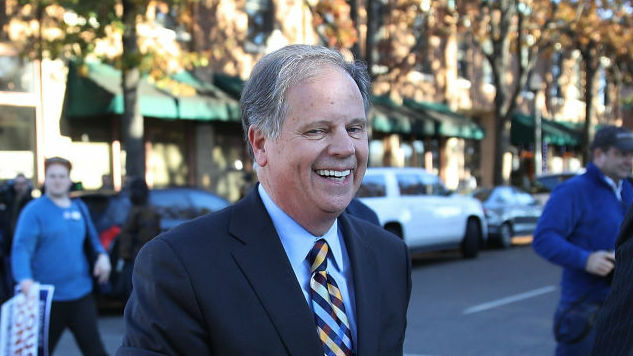 The poll, published by Monmouth University, says that in an average year for voter turnout in a special election, Roy Moore has the edge, polling four percent higher than Jones. But they expect turnout to be a little higher than average, given how well-publicized the race has been. With this expectation, they estimate that the two candidates are locked in a near-exact tie. And if voter turnout soars above their predictions, to the level of attention that a presidential race might command, the poll has Jones coming out ahead by three percent. Basically, the various turnout and vote intent models suggest that a Moore victory is the more likely outcome, but there is still an opening for Jones. He needs to get relatively higher turnout in Democratic areas and keep GOP-leaning voters who are uncomfortable with Moore from ultimately choosing him once they get into the privacy of the voting booth. The pollsters admit that polling Alabama has been somewhat difficult, as they don’t have much of a base in the state. However, they report that nearly three out of every four Alabamians say that Roy Moore’s relations with teenaged girls were inappropriate, but only 48 percent say they have an unfavorable view of Moore. Moore has been accused by several women of sexual misconduct from decades ago, when he was in his 30s and they were in their teens. Among those allegations are claims that Moore sexually abused a 14-year-old girl and sexually assaulted a 16-year-old girl. These claims led Alabama’s own GOP senator, Richard Shelby, to tell news outlets that he did not vote for Moore. If you are eligible to vote in Alabama, we urge you to vote for Doug Jones. This is going to be a close one, and this poll proves that your vote will matter, given how close the race is.